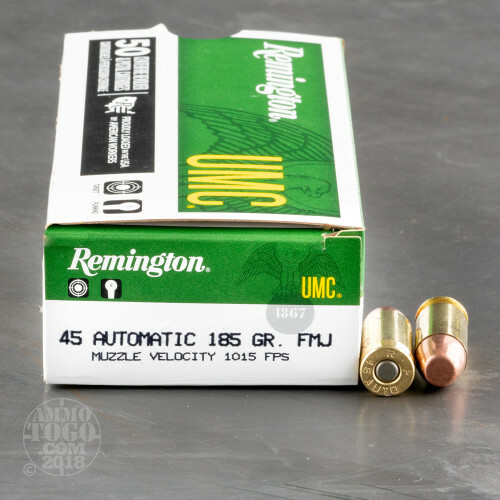 This is 45 ACP Remington UMC 185 grain FMJ Ammo. It is brass cased, boxer primed and non-corrosive. 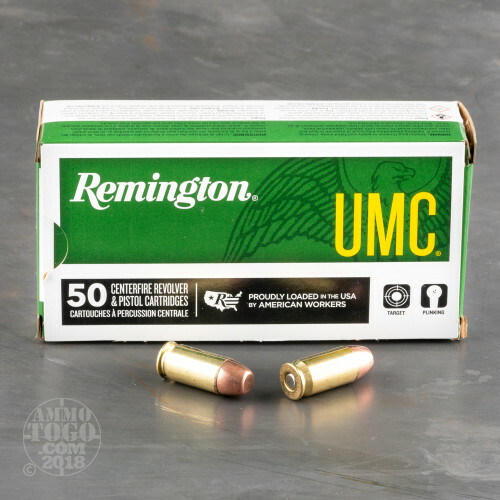 It is great plinking ammo that's made in the United States. This 45 ammo comes packed in 50 round boxes with 500 rounds per case. 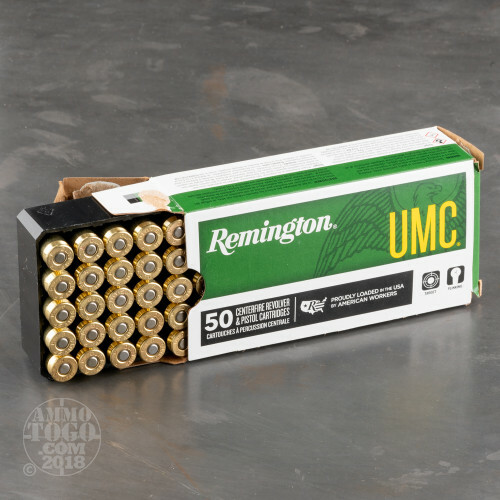 So, you'll get 10 boxes of ammo ready to take with you on your next range trip. All you shooters, practice at 25 yds (often) and shoot one handed (both sides) often enough to know how important stress is on a REAL shooting appointment. Learn your trigger, stance and grip at easy ranges. But the fundamentals are in one-handed shooting and longer ranges. The ammo is fine for range use. Too many bad primers. It averaged out of every 50 rounds, 2 primers failed to ignite. Fine range ammunition. If I was out of my defense ammo, I would not trust this with my life. Or my nosy neighbors ! All levity aside, it is what it is. 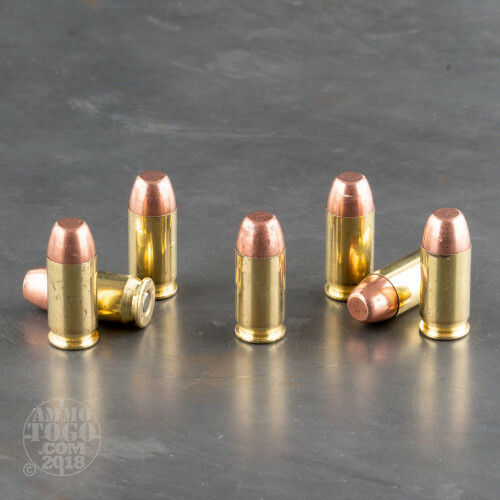 Good ammo to take the range or out shooting. Not something you'd want to put your life on the line with trusting it. Great service, great product, quick shipment. What else could you ask for? Guys at 10-15YDS Key holing 50 rounds 3" group in a Shoot NC target with a 3" BULL. pretty good eats the center BIG time. I like a little less recoil at further distances. The 185Gr I bought is OUTSTANDING!